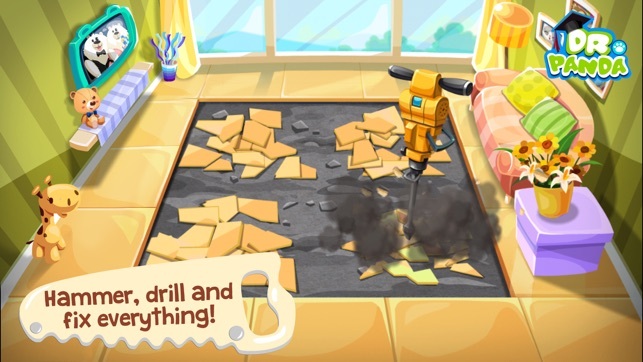 It’s time for some home improvement in Dr. Panda’s Handyman! Hammers, wrenches, pliers and more are there for you and your kid to help Dr. Panda complete a number of household projects from building a wall to installing a bathtub. There are over 13 different activities where you can help cute animal families with a number of projects like assembling a bed, fixing a chair, setting up an aquarium, and even using a jackhammer to tear up old floors! 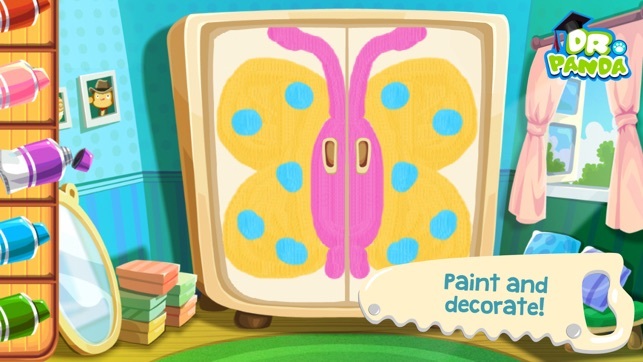 You can even let your creativity flow by mixing paints and using different brushes to make the projects your own. - Let those creative juices flow! Paint and customize many projects as you see fit. - Dr. Panda enters the 3rd dimension! Full 3D objects to build and fix. 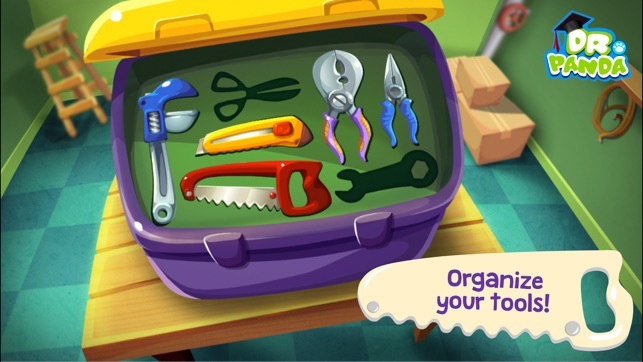 - Dr. Panda’s toolbox has over 10 different tools, from screwdrivers to saws… and even a jackhammer! - Secrets hidden on every screen, just waiting to be found! 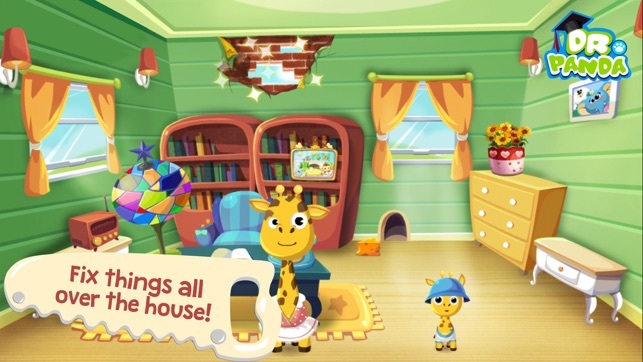 - Kid-safe; no third-party ads or In-App Purchases. Features a parental lock system so parents can feel confident letting their kids play by themselves. 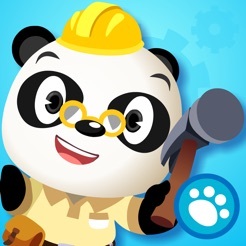 Dr. Panda's Handyman is an absolutely fun app for future builders. 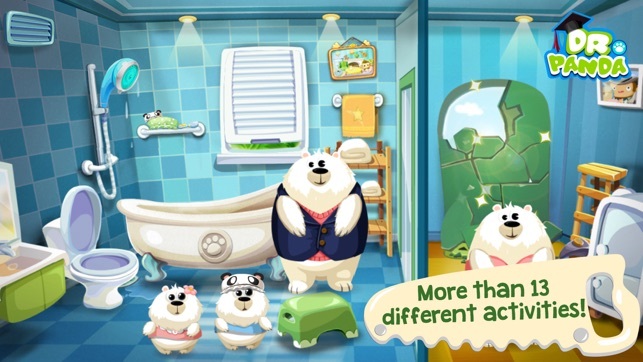 There are 4 families to help with household fixin', as well as Dr. Panda's attic to tidy up. Along the way, you have to sort and match, construct objects from their parts, and even get to mix custom paints. Skills which help develop confidence and competency to try out new tasks. For a job well done, Dr. Panda will give you a high five, which is I have to admit, just thrilling and a smart reinforcer. Highly Recommended. First Day, First Impression...we LOVE this new app! When Dr. Panda waits for a high 5, we were blown away! Nice touch, Tribe Play :) Great how each family has a different room and different things to fix. Love showing my kids lots of activities that can be done to help around the house. Now we can go search for thing to fix around our own house and see if we can tackle any of the same jobs for real.